POLICE have released an image of a man they believe may be able to help with the investigation into a shooting in Newtown. 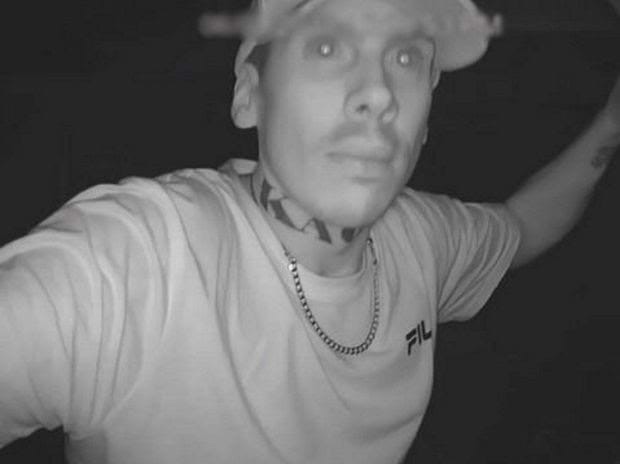 Police investigating a shooting in Newtown on May 29 have released vision of a man who may be able to assist with their inquiries. Police were called to the intersection of Victory and Ethel streets just after midnight and located a 41-year-old man with a single gun-shot wound to the neck. The man was transported to Toowoomba Hospital for treatment of the non-life threatening injury. The man is described as Caucasian, medium build, 175cm tall, black hair and the word KAOS tattooed across his neck. Police are appealing for the man or anyone with information regarding his whereabouts to contact police. On Friday police charged a 27-year-old man in relation to the matter.